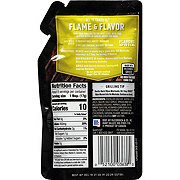 Southwestern blend of red bell pepper, chipotle chili pepper and garlic. 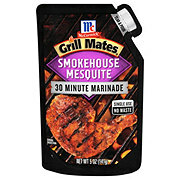 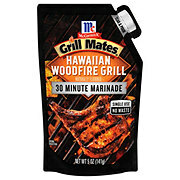 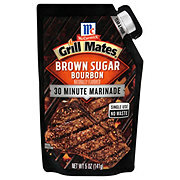 You'll Need1 package Grill Mates® Sauce Mix-Ins1 lb. 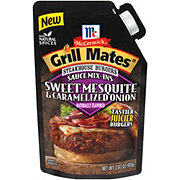 ground beef4 hamburger rollsDirectionsMix ground beef and Seasoning Mix until well blended. 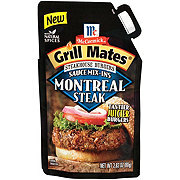 Shape into 4 patties.Grill over medium heat 4 to 6 minutes per side or until burgers are cooked through (internal temperature of 160degF).Serve on rolls with desired condiments and toppings.Makes 4 servings. 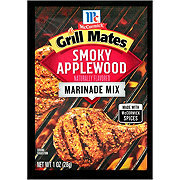 Ingredients Tomato Puree (Water, Tomato Paste), Water, Distilled Vinegar, Lime Juice, Red Bell Pepper, Salt, Spices (Including Paprika, Chipotle Chili Pepper), Onion, Garlic, Fancy Molasses, Potato Starch, Oat Fiber, Sugar, Shallot, Modified Corn Starch, Lactic Acid, Citric Acid & Natural Flavor.